Very few things are as potentially dangerous and destructive to your home than a roofing problem. While you might think that what you have is a minor concern with just a few missing shingles, things can escalate quickly and before you know it, you’ve got leaks everywhere! If you have been living in your Newmarket home for years now and your home is pretty old, chances are, your roofing will need some repairs or even a replacement done soon. When that time comes, you want to be ready. You want to know what type of roofing is best for your residential property, and more importantly, you want to know who you can trust to do a flawless job with your roofing. Well, you’d be very happy to know that your search is over because when it comes to residential and commercial roofing in Newmarket and all its neighbouring areas, Dillon Bros. Roofing has got you covered. We are a family owned and operated roofing contractor that has been providing reliable services and top quality products to homes and business facilities the Durham region, as well as in Toronto and York. Since our company started in 1998, countless clients have entrusted their properties to our team. 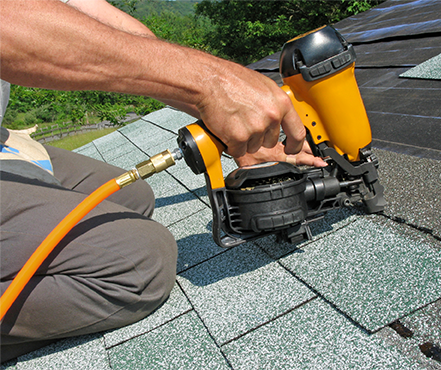 Our Newmarket roofers can provide you with a variety of services which include installation of shingles and skylights, gutter clean system installation, eaves trough cleaning, aluminium and vinyl siding installation, snow removal, and more. Dillon Bros. Roofing is known for the quality of our services and the fair pricing that we offer our customers. We take pride in our team’s expertise and experience in addressing all types of roofing concerns. We are also known for our exceptional customer service. Shingles are probably the most popular roofing choice for most homeowners due to their durability and relatively low cost. They are also perfect for a wide range of temperatures. Dillon Bros. Roofing has been replacing and installing shingles on both residential and commercial properties for more than 15 years now. We have a range of shingles that come with warranties from 25 years to a lifetime! We are certified installers of BP, GAF, and IKO shingle roofing. Flat roofs are usually less expensive to install. They are easier and safer to clean as there’s less chance of falling off from flat roofing. Dillon Bros. Roofing offers an array of flat roofing membranes – from traditional 2-ply modified bitumen to modern single ply TPO and EDPM systems. 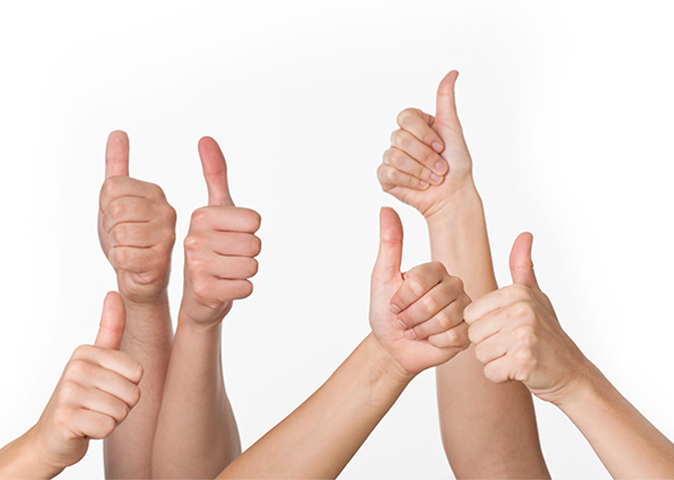 Our team is fully licensed to install CARLISLE, IKO, FIRESTONE, and SOPREMA roofs. Metal roofs have become a popular choice as they are lightweight, low-maintenance, and environmentally friendly, too. Dillon Bros. Roofing can install “shingle style” 3-foot interlocking Katola system for you. We also offer full length panel roofs in various profiles like standing seam panels from STEEL TILE ROOFING. 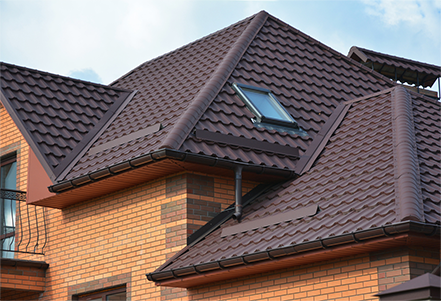 BUCHNER ALUMINUM SHINGLE roofing is also available in an array of trims and colours for you to choose from. These are just some of the materials we offer. You can also call us if you’re considering natural cedar shakes and shingles as we can install taper-sawn and hand-split shakes for you. Enviroshake is also available from Dillon Bros. Roofing. Skylights and sun tunnels from Artistic Skylight Domes and Velux are great additions if you want to have the natural brightness and warmth of the sun in your interior living space. Ever member of Dillon Bros. Roofing installers in Newmarket has undergone the finest roofing and safety training in Canada. We ensure the most impressive workmanship and professional attitude of all our roofers. You won’t have to worry about your landscaping or any mess when we do our job because we’ll leave your home in perfect shape! So… do you need an honest appraisal of your roofing situation, plus the best materials and the most reliable service at a really fair price? Look no further and wait no longer! Call the most dependable Newmarket roofing installers from Dillon Bros. Roofing today!